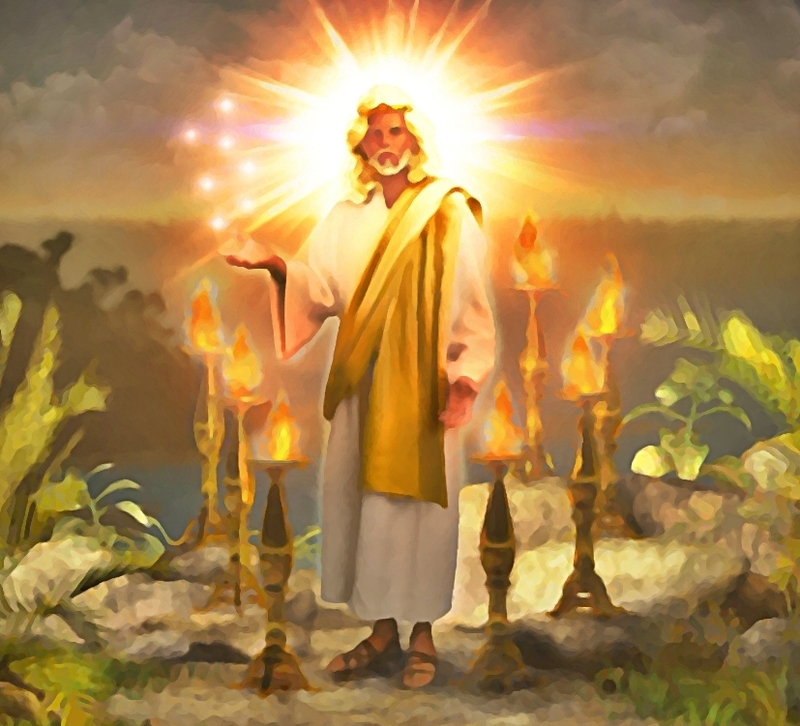 John then tells us that the seven lampstands are the seven churches and the big question is, “What does he mean by seven lampstands?” The golden lampstands remind me of the alchemical substance said to be capable of turning base metals (lead, for example) into the living gold of the philosophers. A substance we know of today in myth as the Philosopher’s Stone; that in reality is the fire of life, but this stone in science is called Phosphorus or in the occult and bible, Lucifer or the Morning Star. It is simply the Alpha and Omega of all chemical energies, including that of our very own DNA! Phosphorus is commonly found in inorganic phosphate rocks and phosphate is the body’s source of chemical energy. The phosphorus atom is of the nitrogen family, but having that characteristic of firing. Phosphorus is the philosopher’s stone that is the central symbol of alchemy, symbolizing the light within our DNA and in nature, and it is the least abundant element cosmically relative to its presence in biology,” says Matthew Pasek of the University of South Florida. Without phosphorus, there would be no thought or wisdom. This is the atom that fires our blood to produce chemical energy, consciousness, creativity and life. The Lord in most ancient times was known by various names such as Marduk to the Sumerians, Aten or Aden to the Assyrians, Osiris to the Egyptians, Zeus to the Greeks, Saint Peter to the Catholics, Yahweh and now Adoni to the Hebrews. The Lord we know of today is actually the largest gas planet in our solar system, Jupiter. In the bible, Jupiter becomes Japheth which means Jupiter, who is called one of the sons of Noah in the Abrahamic tradition and was the father of all the Indo-European people. Both the early Irish Celts and the early Britons traced the descent of their royal houses from Japheth, as did also the early Saxons who corrupted his name to Sceaf,–pr. ‘sheaf’ or ‘shaif’ (see chapter 7). (Refs: 1DB 2:802. NBD 599. JA 1.vi.1. P 1:26). In Acts 14:12, Barnabas a Levite who is from the Tribe of Levi in which they called Zeus (Jupiter), and Paul they called Hermes because he was the chief speaker. The number 7 is often called the holy number, the prophetic number, or the mystical number. One of the clues as to why this number is so special, is because we humans who have 7 body parts, Seven DNA Polymerase Families, and with our 7 senses, are the SO BELOW of the AS ABOVE. The AS ABOVE which correspond to the SO BELOW in us humans, are the 7 planets with their elements and gasses in our solar system. We are the microcosm of the macrocosm, in which everything is number and all is energy or should I say, chemical energy? The earliest reference to the number 7 to DNA and the cloning of humans can be accredited to the Sumerian creation myth and flood myth found on a tablet excavated in Nippur. It is dated approximately 1600 BC during the first Babylonian dynasty. In the Sumerian text, the planet Jupiter represented by the Babylonian God Marduk (Merodach, Amar-uduk, and Marudulc) battles Venus the evil Goddess Tiamat who takes the form of a gigantic snake. Marduk (Jupiter) then goes to battle, ultimately defeating her. For his victory against the planet Venus, AKA Tiamat, the king of the planets, Jupiter, AKA Marduk is made the King of the Gods. After Marduk (Jupiter) triumphed over Tiamat (Venus), he divided her corpse into two sections, the upper half becoming the sky and the lower half, the earth. Marduk then creates humanity from his blood and bone. This is key in understanding the number 7 because of the Seven DNA Polymerase Families that can be further subdivided into seven different families: A, B, C, D, X, Y, and RT. DNA polymerases are widely used in molecular biology laboratories, notably for the polymerase chain reaction (PCR), DNA sequencing, and molecular cloning. Yes, the seven in DNA that was used in the cloning of the human race! DNA polymerases from all kingdoms of life have historically been organized into seven distinct families based on phylogenetic relationships. These 7 DNA Polymerase Families may very well be the seven lampstands that Saint John had written about that resides in our very DNA. This makes perfect biblical sense because my angelic Revelations above details the science behind what Saint John had meant by the seven angels, the seven churches, and now the seven lampstands- which we can connect to DNA and in which the gold would be Phosphorus, which as a phosphate is a component of DNA, RNA, ATP, and also the phospholipids that form all cell membranes. Humans obtain their energy through phosphorus that is extracted from foods ingested into the body by converting it to the chemical energy that is then stored within the body. It makes up 1% of our total body weight and is present in every cell of the body; most of the phosphorus in the body is found (85%) in bones and teeth. 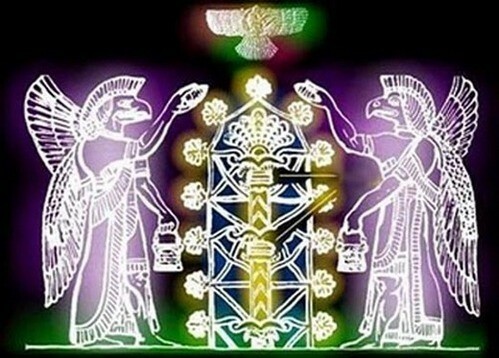 The ancient Sumerian allegorical stories in stone were not just talking about the planets and Gods they worshiped, but also the creation of the current human race that was created by the “blood and bone” of the Babylonian God named Marduk in mythology, but whose name in reality, truth and science is simply the planet Jupiter. As I stated above, phosphorus is present in every cell of the body; most of the phosphorus in the body is found (85%) in bones and teeth. Could it be that the Sumerians were informing us that we come from, or our chemical energy in our DNA is from the planet Jupiter? 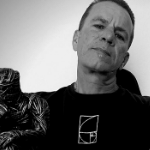 I believe that My alien, Jupiter, and the Seven DNA Polymerase Families theory will start to become more apparent to you as you read more of my blog or past articles that I have written on the planet Jupiter. Many people today are operating on only the 5 basic physical senses of sight, hearing, taste, smell, and touch. The problem that we have if we only use these 5 basic senses, is that we are not being our true selves by not fully utilizing all the 7 senses, which we can tap in order to be fully conscious as a a true human being. These other two major sense are our minds for thinking, and our blood or DNA for Gnosis or intuition. The human body has seven body parts and there are seven planets in our solar system. In astrology, parts of the body are ruled by the signs and planets. Hermes had written that there are seven holes in the head of an animal, distributed to the seven planets. There are seven days in creation, seven spirits before the throne of God, and seven days in the week. Monday for the Moon, Tuesday for Mars, Wednesday for Mercury, Thursday for Jupiter, Friday for Venus, Saturday for Saturn and Sunday for the sun who rules over the brain and heart. In addition to the senses not being fully employed, many people are simply using only 6 of their 7 body parts in the 6th Age. The most important part is our 7th member, which is the head that contains the mind, and which many people simply are not using correctly or at all. Hence, a fully functioning human who has full control of their 7 body parts, including their head and mind, can then possibly activate all 7 forms or modes of perception to become a true Jedi or Gnostic Warrior. As I have said in my previous articles on 666, this is the 6th Age in which man was created on the 6th day of Saturn and his number is 666. We fall short of the perfect number 7, which is Sunday that is represented by the sun who rules over our brains and hearts, because Christ which represents our true divinity was crucified at Golgotha (the place of the skull). 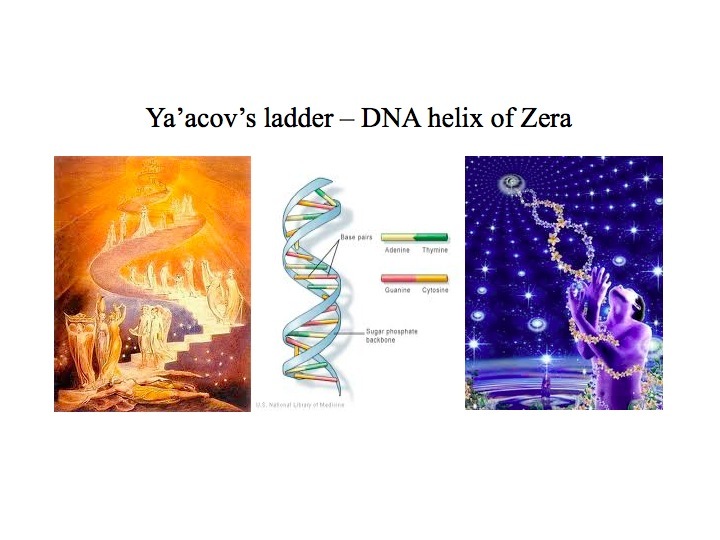 Those who do not start using that 6th sense of their minds and developing their 7th sense of DNA activation via Gnosis will simply not evolve or ascend to the 7th Age. The reason the “seven stars and seven lampstands” are a mystery to the framers of the bible is that the ancient texts that the bible was taken from at the council of Nicea, predate the bible by nearly 200,000 years. The book of Revelation is prophecy of the end times, but it is the written record of the final battle of good and evil that must take place to bring an end to each age, or “yuga”. The battle of the Armageddon will be the fourth and final battle of good and evil that will occur. The first age battle is recounted in the “epic of Gilgamesh”. The second age was the “battle of the ten kings”. The third age ended with the “battle of the Mahabharata”. The nature of spirituality and knowledge of the ancients and their ways had been lost to history when they compiled the bible. The true meaning of these items is that the “stars” were talismans and the “lampstands” were sigils, all were important “tools” in the “highest science” of the day. This is why they are referred to as a “mystery” in the bible. They truly had no idea. Prior to the bible, there were no churches, as spirituality was much more personal and inclined towards individualized worship. The church made it a group activity.